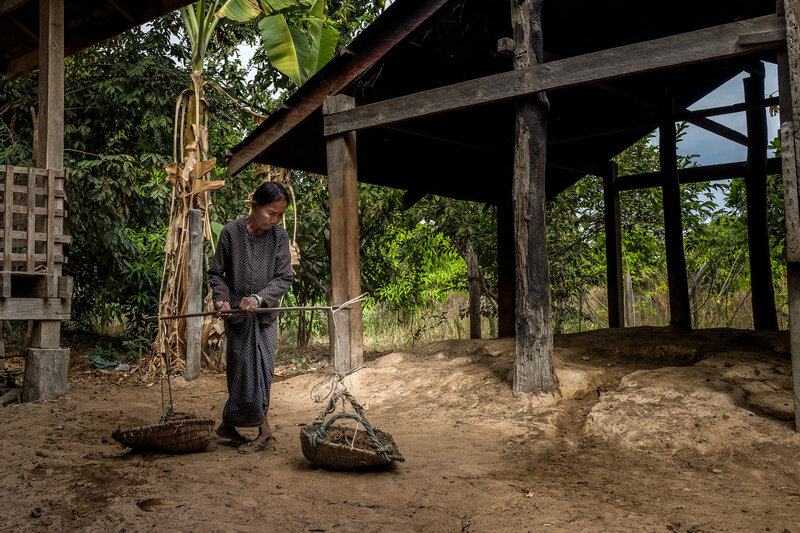 ANLONG VENG, Cambodia — In this dusty mountain hamlet on the Thai border, she is known as Grandma Chaem. But Im Chaem…is accused of overseeing the killing of tens of thousands of people as a Khmer Rouge official in northwestern Cambodia in 1977 and 1978. read more…. Cambodia’s International Tribunal has announced that the second phase of the trial for two former Khmer Rouge leaders will begin on October 17. The date will mark the beginning of the final phase in the trial of Nuon Chea and Khieu Samphan, which was broken into two parts for expediency. Trial officials said hearings will continue three days per week. 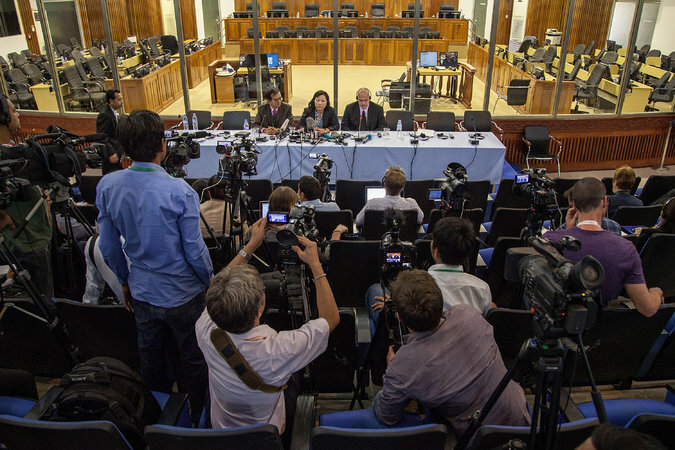 August 26, 2014 New York Times, PHNOM PENH, Cambodia — Earlier this month a United Nations-assisted tribunal in Cambodia handed down long-overdue judgments against Nuon Chea and Khieu Samphan for their roles in the catastrophic Khmer Rouge regime of 1975-79. Nuon Chea, the deputy secretary of the communist party, and Khieu Samphan, the president of the Khmer Rouge state, were sentenced to life in prison for crimes against humanity. Sok Sambour, 25, works as a receptionist at a hotel after graduating from accounting school. Her parents told her about that era, including exactly how long the Khmer Rouge rule lasted: three years, eight months and 20 days. An elderly neighbor told her that just catching a fish to eat was enough to be accused of betrayal and face almost certain execution. A U.N.-assisted genocide tribunal will deliver a verdict this coming Thursday in the trial of the two top leaders of the communist Khmer Rouge, whose extremist policies in the late 1970s are blamed for the deaths of an estimated 1.7 million Cambodians though starvation, medical neglect, overwork and execution. "The discovery of more than 1,200 photographs of former prisoners at a notorious Khmer Rouge torture jail has raised hopes that more Cambodians could learn the fate of their relatives."